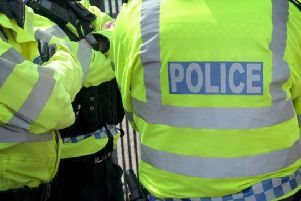 Thieves have made off with up to £7,000 in cash after breaking into a Kenilworth supermarket and raiding the tills. Burglars forced their way into the Sainsbury’s store in Warwick Road at around 2am on January 5. The two men then targeted five self-service tills. CCTV footage showed two men carrying crowbars and a holdall. They were wearing caps and grey tracksuits. One of the men was tall and slight, while the other was of a larger build. It appears that the offenders were disturbed before making off on foot. Detective Sergeant Tim Carter said “This is one of a number of incidents in Warwickshire, where self service machines have been targeted. We are pursuing all lines of investigation to trace these offenders and will be carrying out door to door enquiries in the local area.